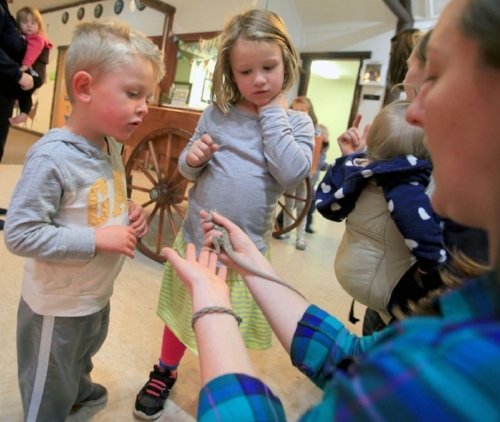 Established in 1997, Stokes Nature Center is a non-profit nature education organization. Our mission is to promote exploration, provide education, and foster appreciation and stewardship of our natural world for people of all ages. The Naturalist Educator intern will aid in SNC programs relating to environmental education, including school programs, general programming, and hosting at the nature center. This internship provides an introduction to the world of environmental education non-profits. Our ideal candidate will be interested in teaching in and outside the classroom, and is comfortable helping develop curriculum. The Naturalist Educator intern needs to be an organized, collaborative, independent worker who is excited about SNC’s mission and will be a positive ambassador for environmental education in the local community. Note: This is an unpaid internship. Enjoy being a part of something that’s bigger than yourself. You’re supporting incredible programs that provide nature education to people of all ages. Assist with organizing, promoting, and leading education programs including, but not limited to: Canyon Conversations, Nature Tales, school programs, naturalist walks, and community educational events. These are typically offered on evenings and weekends. Work with the Director of Education to develop and update environmental education curricula and lesson plans in accordance with Utah State Core Standards and Next Generation Science Standards. Host at and maintain the Nature Center. Assist with community outreach events and informational/education booths at different events. Answer and direct office telephone calls, take messages, and make follow up phone calls. The ideal candidate for this position is highly organized, very personable, detail oriented, problem solver, and is both flexible and self motivated. This experience is a great opportunity for someone interested in a job in environmental education and outreach. Strong time-management, organizational and research skills. Applications are due by August 15th by 5:00pm - but will remain open until filled. Send cover letter and resume to Patrick Kelly, Director of Education, at: education@logannature.org with your name and “Naturalist Educator Intern Application” in the subject line.